Women Leading Change - Diaspora Action Australia | Peace. Development. Human rights. Humanitarian Crisis Hub (now Diaspora Action Australia) Women Leading Change network brings diaspora leaders from South Sudanese, Sri Lankan, Hazara, Oromo, Ogaden, Bahai and Iranian communities together to share skills and create connections. 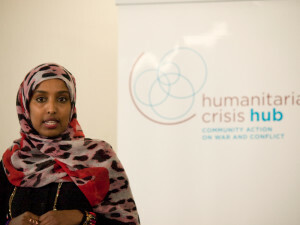 The network was launched after the Humanitarian Crisis Hub (now Diaspora Action Australia) hosted an event in Melbourne at the end of 2012, where a group of women community leaders spoke about activism, human rights, peace building and diaspora-led development projects in their countries of origin. Participants requested that it become a regular event. A similar event held in Sydney in September 2013 also resulted in the formation of a network. Maria Vamvakinou, Federal Member for Calwell.